The ultimate goal of the project is to reconfigure the visitor center into an interpretive building that relates the story of the region in a more comprehensive way. The cases line the wall to the left of the visitor center main entrance, opposite the Pleistocene Wall Mural. Phase 3 of the project, which is targeted for completion in 2017, is a three-dimensional Paleontological reconstruction of the mural to provide a more realistic historical interpretation. Phase 2, the skeletal reconstruction of a giant ground sloth, an animal first discovered in Ice Age sediments at Big Bone Lick, will be completed next year if donation goals are met. The R.C. Durr Foundation has agreed to match Friends of Big Bone donations for the project through the end of 2015, up to an additional $70,000. That would allow the remaining phases of the project to be completed. Wilbert L. Ziegler, president and CEO of the R.C. 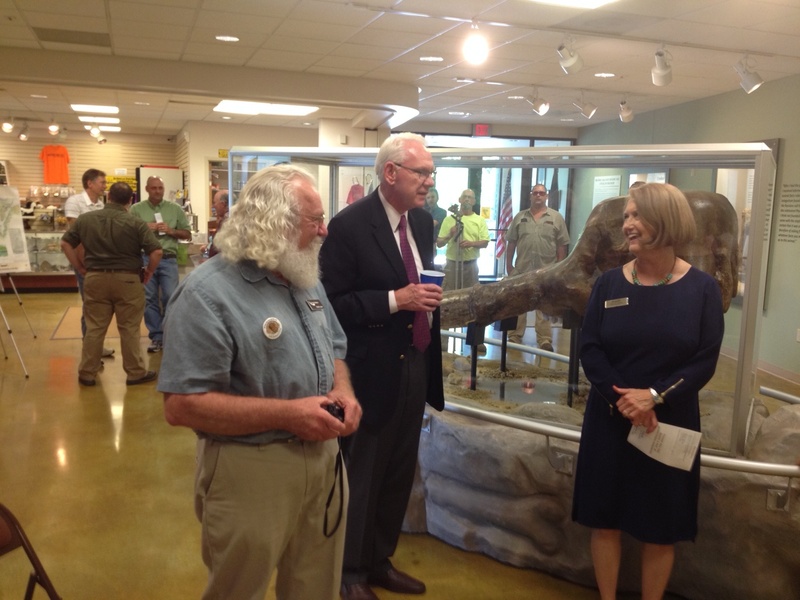 Durr foundation said the Friends of Big Bone project is consistent with the goals of the organization. Dave Might, exhibits coordinator/artist at the Cincinnati Museum Center, oversaw the creation of the cases. The project took about 18 months to complete. Pat Fox, president of Friends of Big Bone, said the event provided an opportunity for the public to see how donations to the organization are utilized. 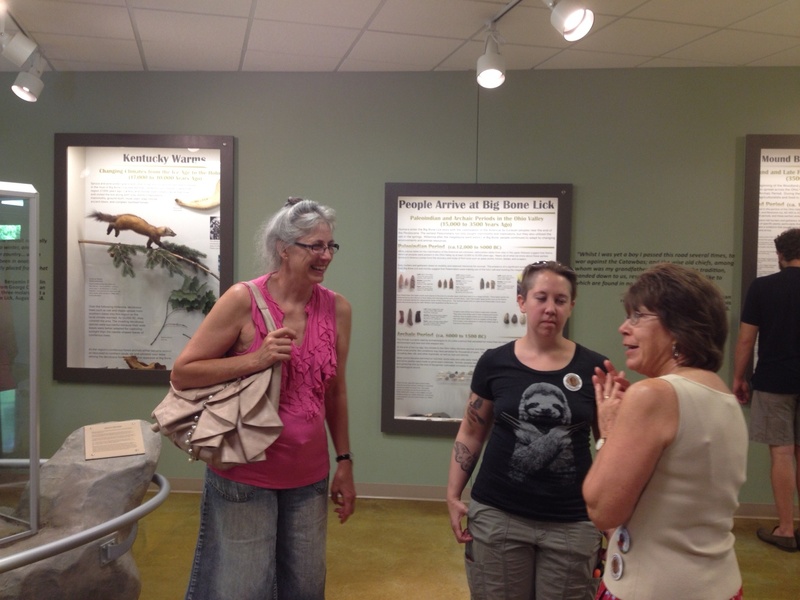 The event also included presentations on the history of Big Bone Lick from members of the Cincinnati Museum Center staff. 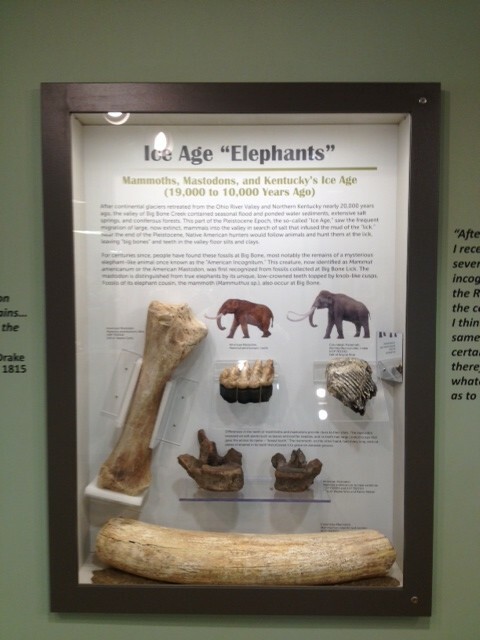 The Big Bone Lick Valley is the home of Pleistocene vertebrate paleontology. Significant events in its history include the first organized paleontology expedition in the United States, led by William Clark, of Lewis and Clark fame. The significance of its 12,000-plus year continuum of human activity and occupation, was recognized by historic figures, including Benjamin Franklin, Georges Cuvier and Thomas Jefferson. Artifact from the Big Bone Lick expedition Jefferson commissioned in 1807 remain on display at his Monticello estate today. Walker said education is a key component of Big Bone and the state Parks Department is working to develop programs to expose more children to its history. “The (Kentucky State Parks) Foundation has funded a grant, so teachers can afford to rent the buses to bring people here,” Walker said. Molly Caldwell of the Parks Foundation also presented a check for $1,000 (which Fox pointed out amounted to $2,000 with the Durr Foundation match) to support the Visitor Center renovation project. Jennifer Warner of Petersburg, who has been a member of Friends of Big Bone “off and on” over the years was very impressed by the upgrade. 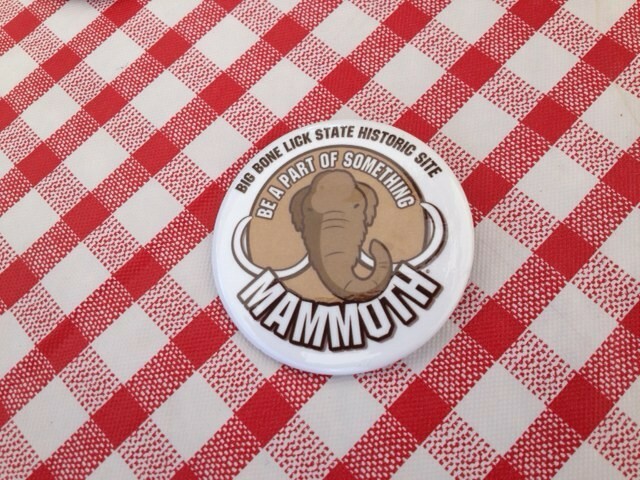 For more information on Big Bone Lick State Historic Site, go to http://parks.ky.gov/parks/historicsites/big-bone-lick/ . To inquire about Friends of Big Bone projects, or to become a member, go to www.friendsofbigbone.org/. Excellent article. True to the mission of the Tribune to bring local news to the forefront and make the Northern Kentucky population aware of happenings in the area. Thanks so much, Will Ziegler. Means a lot to us, especially coming from you.